Royal Birth-(Earnest Royal-2003)-Tall Bearded Iris-38 Inches Tall-Medium Bloom Season-Superb ruffled white with gold wash at shoulders. Beards white brushed gold. 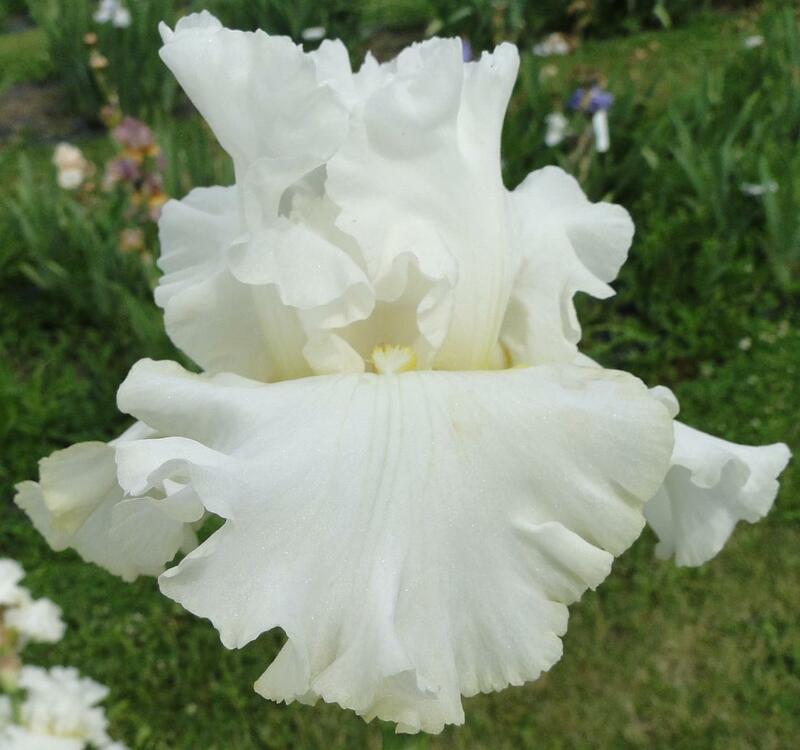 Wonderful garden iris. Vigorous.